Mars Gaming doesn’t stop in its tracks, and again presents a new addition to its product catalog. This time is a new headphones family with three members. We are talking about the models Mars Gaming MH0, MH2 and MH3, the latter highlighted by having virtual 7.1 positional audio. Mars Gaming is looking to have a sufficiently large catalog of products, so they can meet the needs of any user, and of course, always oriented to the Gaming world, thus the aggressive look of their products. Just like the others, these three new headphones come in black and red colors for shading, and are specially designed for Gamers. We said at the beginning that the highlights of the MH3 model are the positional virtual 7.1 sound via USB. Also they integrate an independent volume control system for each speaker in each earpiece. It is the first time we see this feature in a headset (perhaps intended for users with hearing problems in one ear?). Virtual reality theme keeps going further, being Oculus Rift probably the most shining star in the VR products sky. The Oculus Connect conference for developers started yesterday, where the company’s CEO presented the new virtual reality headset prototype named Crescent Bay. This conference has the purpose of informing and forming current and future developers of the Oculus Rift, as well as attracting more people to this world, nevertheless, this announcement was surprising. They not only said the name of the new version, but they also talked about the new features. Creative Technology has announced its new Creative SB Inferno headsets today, which are compatible with PCs, Macs and PS4 gaming consoles, as well as mobile devices, such as smartphones, tablets, and MP3 players. Its 40 mm speakers with Neodymium magnets offer a powerful sound quality, and are able to reach a response frequency between 20 Hz and 20 kHz, with an impedance of 32 Ohms and a 115 dB/mW sensitivity. The headsets come with a removable microphone with Sound Blaster CrystalVoice technology in charge of blocking out any background noise to provide a high sound quality on all your conversations. Cooler Master presents today its new earphones (in-ear) CM Storm Resonar, the brand’s first to incorporate its patented Bass FX technology, through which it manages to adjust the magnet’s position inside each earphone, so we can obtain a better bass response every time. The CM Storm Resonar are designed both for gamers and for music lovers. The CM Storm Resonar include exclusive speakers of 8mm diameter with the already mentioned Bass FX technology enabling them to satisfy the necessities of the users in every game and in all music genres. Creative Sound Blaster E1: Sound Card and Amplifier. Creative launched yesterday a new series of small USB audio devices The Sound Blaster E Series. The first model in this series, The Sound Blaster E1, is already available in Spain, and is based on the known USB sound card Sound Blaster X-Fi Go! Pro. It is compatible with most PC’s, Macs, Smartphones, Tablets and uses a sound processor that works in real time to make a better listening experience. It is an external sound card that offers the function of boosting sound and has two headphone jacks with the goal of sharing music. It incorporates a microphone capable of being used to record or use as a hands-free headset with any headphones. Like we mentioned, it works, like an external sound card for PC and Mac. It offers any mobile device audio amplification. The game headset, which puts both the headphone and microphone together is a very important feature, if you were to ask anyone who is loves to play games. In order to get the correct type of headset, this will mean coming up with a list of all of the features that improve your gaming experience. You will need a microphone in order to interact with other gamers when playing certain games like “Call of Duty.” If you don’t play games like this and do not need to use a microphone, then you should still purchase a headphone instead of a headset. Although a few game players have to have a headset in order to block out noise when playing games such as “Halo”, other game players will just use a headphone instead of speakers, which will keep the noise down low. However, find out if you will need a console headset or a computer headset. Then pick out the features that you want. You can get headsets that have both noise cancellation features and surround sound. Some manufacturers also have headsets that have wireless features so that they are mobile and portable. Also think about getting features that are comfortable and affordable. Coolermaster CM Storm Pulse-R Gaming Headset. The new gaming headset from Cooler master shows all the experience the company has gained from sponsoring professional e-Sports teams. The first things you note from its great design are its 42nm triggers and the interchangeable aluminum covers; the Pulse-R is a normal headset with an integrated microphone you can set in any way you want. You can plug it to your PC with its 3-5-mm minijack, and it has volume controls for both the headphones and the microphone. From their Republic of Gamers series, ASUS offers us the Orion Pro headset, created with gamers in mind, especially those who are avid FPS players. The specs of these are equal to those of the Orion, but they also include a USB adapter which we can connect the headset to. It also incorporates some options to process the sound, which we will analyze in this article. What you see in the picture is the official wireless gaming headset for Microsoft’s new console, the Xbox One. Its simple design is not too different from the Xbox 360’s; it features speaker and microphone, volume control and a mute button connecter to the console’s controller. 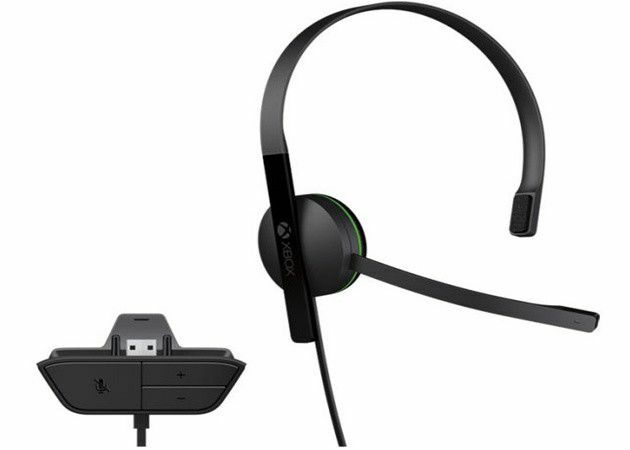 The oficial headset will not be only one, though, since others have already been announced, like Turtle Beach’s, as well as some other devices for the Xbox One such as Polk Audio’s speakers or the Mad Catz controller, just to name a few. Some may think that the console’s price (500 USD / Euros) would mean Microsoft would offer a better headset tan the one that will be included with the console. We’ll suppose it will simply get the job done, without offering an extraordinary sound quality. If you want ‘a little extra’ you’ll have to spend a few more bucks. In last article, we do a datial review about ASUS Vulcan PRO Gaming Headset, For comparative purposes , we tried the Creative Aurvana Live! headphones, While not a headset (no mic) it is a good example in regards to audio for a range close to $ 80, Compared to approximately $ 130 for the ASUS Vulcan PRO in Chile. As for the sound, the CAL! have a notable advantage with respect to detail and soundstage. Both headphones, have their fair share of the low registers, perfect for a gamer. However, the CAL! provides a more controlled, deeper bass than the Vulcan PRO. In the middle the CAL! is also superior to the Vulcan PRO. The middle area of ​​the CAL! is nice and warm, and unlike the Vulcan PRO, the voices are heard clearly. In the area of ​​high, both have shortcomings, the CAL! has a warmer less aggressive sound than the Vulcan PRO. Yet the CAL! has better detail in this area. Performance in the game is not so distant from the “musical” field, although the latter requires a higher level of detail and requirement than in the game itself. The first impression in the “battlefield” is that in the CAL! sound feels more “free” and not as “forced” as it is in the Asus, this may be due to a more open soundstage by CAL! and the emphasis on insulation at all costs seen in the Vulcan PRO. Despite this, the “positioning” is not affected but clearly not the same sound of the steps or distance shots. Not everything is dreary, however, for Vulcan PRO, because with these headphones is gained a more entertaining experience in terms of explosions and gunfire. Here the Creative headphones lose the battle, as these have negligible insulation, in favor of a better soundstage. For example a fan 5 feet away from the CAL! heard without problems; however, with Vulcan PRO even passive insulation achieves a significant decrease in fan noise, without the activation of the ANC, the trump card of our Asus. While neither headphone is a nightmare to use, clearly the CAL! wins in terms of comfort. The Vulcan Pro is much more robust than the CAL!. Also the Vulcan PRO is much more rigid than the CAL!, Plus they have a weight of 200 gr., Compared to about 340 gr with battery included the Vulcan PRO. Regarding the cable, the CAL! is lighter and thinner, which may irritate less considering the stiffness, width and extent of the Vulcan PRO cable.